Drafting of the final Iran nuclear accord got underway in Vienna on Wednesday, but there are reports that many substantial differences remain, including the number of centrifuges Iran could maintain in its nuclear program. 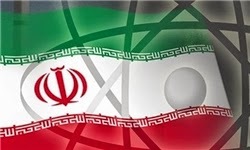 Al-Monitor reports that the Russian and Chinese negotiator, in an unusual development, said Iran needed to revise its demands for large numbers of centrifuges, joining the U.S. and the EU on the issue. It appears that the parties, Iran and p5+1, have agreed on the title of the final agreement: “Joint Comprehensive Plan of Action.” Aside from that title, which could soon be called JCPOA, apparently not much progress on the text of the agreement has been made so far. This latest round of negotiations was scheduled to end on Friday. From what is reported of the talks so far, it seems that signing the JCPOA by 20 July deadline seems increasingly unlikely, and the six-month transition period under the current interim JPOA needs to be renewed. Iranian Foreign Minister Javad Zarif still sounded optimistic, saying the final deal could be struck in July. But Mr. Zarif’s optimism could be because of his zeal to finalize the deal and to have the sanctions lifted as soon as possible. Iran was spending billions of dollars on the Syrian war, and now might be forced to spend billions of dollars more on the Iraqi conflict. The country needs to sell oil and use global banking system to finance the two wars. Considering that urgent need, Zarif might be saying something profound: The JCPOA will be signed, Iran will sign it, even if it has to give in on its demands, including the number of centrifuges. That would be a surprise, Iran surrendering its industrial-scale nuclear power ambitions. However the use of the Iraq crisis might allow IRIG to be seen domestically as providing for the defense and security of the holy cities, as a necessary trade against its nuclear infrastructure aspirations. But still, even that would be surprising. Me thinks it's looking more and more like an extension is likely. As for Zarif's confident personage, I think that's related to his negotiating style. So, if Iran wants 100,000 (or is it 50,000?) centrifuges and the P5+1 want 8,000, am I to suppose that the final number (agreed upon) will be slightly more than what Iran currently has, which is 19,000? Iran wants those higher numbers to fuel Bushehr. The West wants to keep the numbers to few thousands, less than what Iran currently operates, to deny Iran a rapid breakout capability. Now the Russians (who are actually supplying fuel for Bushehr) and the Chinese are also siding with the West on this issue, the number of centrifuges. It seems, barring a miracle, the interim JPOA will be extended for another six months. The Iranian delegation will more likely be watching Iran-Argentine match on Saturday in Tehran!